All our Rooms are well-appointed and are tastefully-decorated in off-white colour interiors. 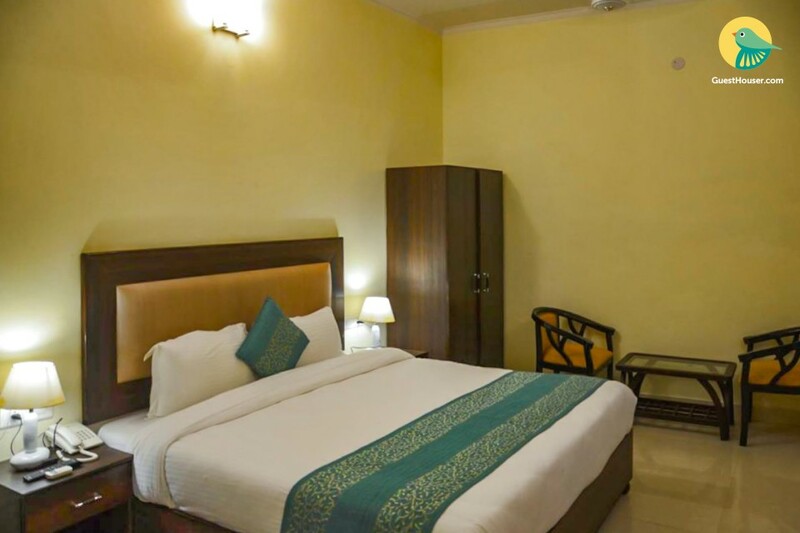 All rooms are well-lit and get bright day-light, through a huge sliding-glass window provided with curtains and are equipped with modern amenities, making your stay, most comfortable and memorable one. Some of our room also offers a large balcony for a morning or evening sit-out outside view, in the setting of a small hamlet bustling with activities. We offers a high-quality accommodation and excellent 24-hrs in-room service, truly delighting each of our esteemed Domestic and International guests. 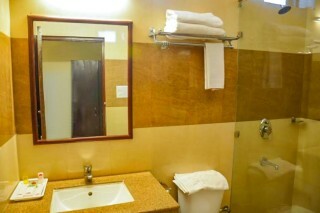 We shall make you feel most comfortable and truly at home, during each of your stay with us. *Terrace Dining Area *Laundry services on request, *Airport and Railway transfers on request. *Tour desk for arranging sightseeing and adventure activities. Also, one can indulge into a variety of outdoor adventure activities like wildlife safari, white water rafting & other water sports, tribal tours and jungle hiking tours. Special packages and excursions are also available to travellers on request. Har Ki Pauri 2 km (approx. ), Mansa Devi Temple 3 km (approx. ), Bharat Mata Mandir 7 km (approx. ), Chandi Devi Temple 4 km (approx. ), Vaishno Devi Temple 5 km (approx. ), Sapt Rishi Ashram 7 km (approx. ), Udan Khatola 2 km (approx.) and Pawan Dham 5 km (approx. ).